Let's PlayGround: A Parent's Problem Solver | For the Joy of Life. I have an awesome product to share with you today! By awesome product, I'm referring to the Let's PlayGround micro mat! I'm all about saving mom's sanity and making life a little bit easier, cleaner, and safer. This lovely product does all three! Three high fives all around for a genius invention that more parents need in their lives! So let's discuss why I've fallen in love with this mat shall we? So once upon a time I was a brand spankin' new mamma that brought her newborn baby to church when she was only two weeks old. I thought I was prepared. Actually over-prepared. I had my diaper bag Backpack stuffed to the brim with bottles, diapers, wipes, blankets, pacifiers, rash cream, burp rags, water for me, a change of clothes for her... you name it. So, when Oaks had her first blowout of the day I grabbed my bag and rushed to the mother's lounge. On the way there I tripped over who knows what (probably myself) and my stuffed diaper bag spilled all its contents. Ugh. I made it to the mother's lounge and was very excited to use my built in changing pad. Except that unzipping that bad boy with a screaming infant in arms was tough. Then after the change I had to zip it back up. Then, I had to lug the stuffed bag back to the other room. Now repeat this story three more times. That's how my first church experience with a newborn went. As the weeks passed I noticed other moms simply grabbing their wipes, one diaper and a portable changing pad with them. That made sense. A lot more sense. But, my changing pad was built into my diaper bag. I eventually designated a blanket as the changing pad. Then one day Oaklyn shot lots of disgusting unmentionables out of her diaper onto said blanket and after scrubbing and it not coming out I thought kay, let's just lose the blanket. Then... Let's PlayGround came into my life! This beautiful micro bonded leather mat is the perfect size for diaper changes, extremely lightweight, folds up so tiny, and wipes clean instantly. This mat makes my life SO much easier and I don't have to worry about germs, messy changes, or getting taken out by a ginormous diaper bag while also lugging around a baby. 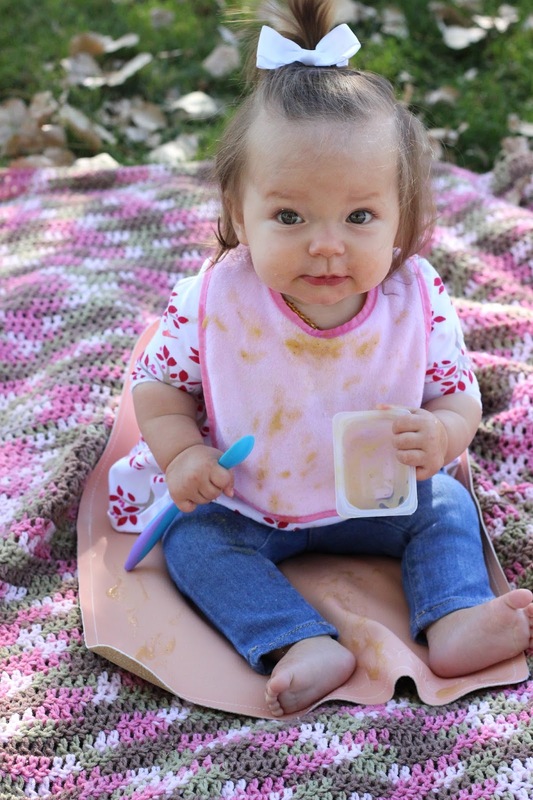 Another awesome use is for feedings! 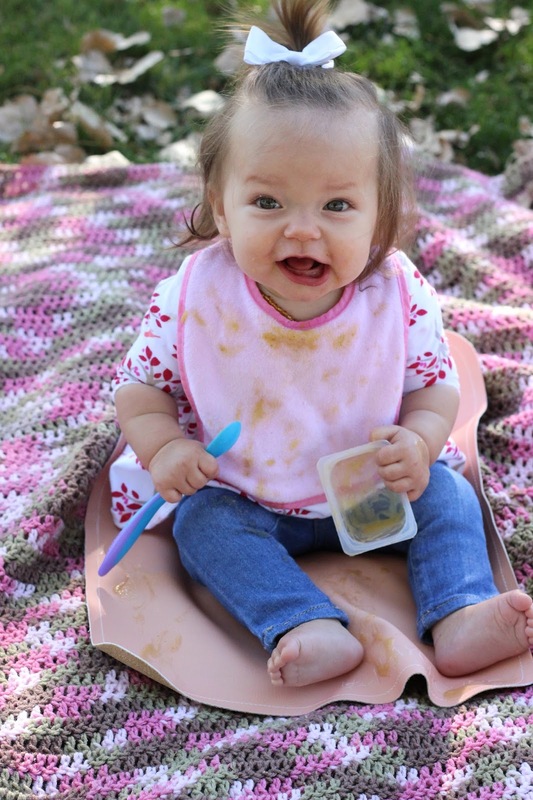 Oaklyn has decided to become a messy eater. She also enjoys trying to feed herself. I stick this baby under her bumbo and it catches all spills. It also is perfect for feedings at friend's houses without babies! I always feel so bad setting her on the floor and praying she doesn't get her food all over their carpet because who just has a high chair in their home without a baby? I've also found it super useful as a placemat! 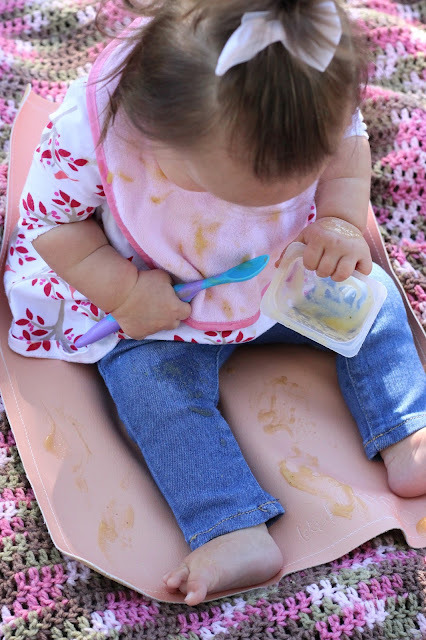 Most all restaurants have high chairs, but said high chairs don't have trays. If you use a paper placemat it gets torn up and turned into a toy. If you use a plate there's my fear that it'll get knocked down and break. 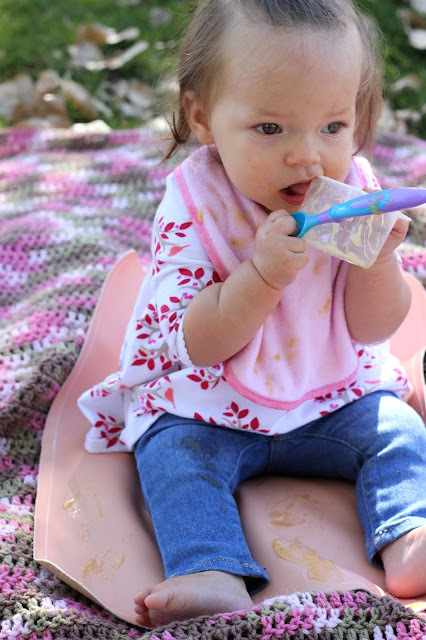 The micro mat is perfect to lay on the table and have your little one pick their food off it and be as messy as they want! Because remember, it wipes clean super fast! Those are just a few ways this amazing mat has made my life so much easier. I just may have to ask for a maxi for Christmas because it would be PERFECT for family picnics next year! Anyhow, I can't say enough how great this product is and how every parent needs one in their life!